No matter what proud to be a crusader, you had a great game and an awesome season #GoValpo ???????????? Once a Crusader fan, ALWAYS a Crusader fan ... regardless! They still claim 2015 HL Champions! Hard to gauge what happened on last play in realtime without benefit of replay. Haven't seen it yet. Seems to be consensus Carter was hit. 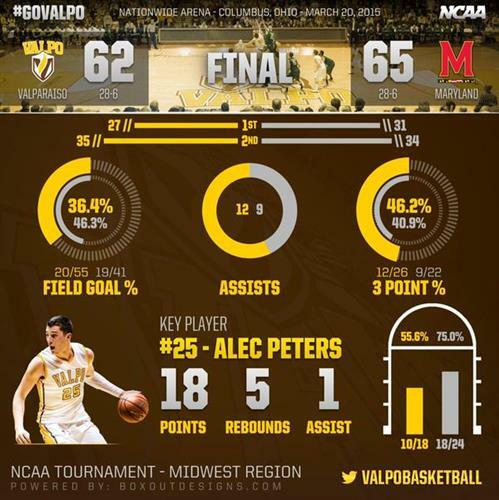 Proud of Valpo basketball - the future is very bright! Agreed. Very proud RT@ValpoU: #GoValpo RT @Ginger_Zee: Oh man:( still proud! Go @ValpoBasketball !!! Interviews are done and now its time to write four stories as quickly as humanly possible. Few notes before I dive in to writing. It was a pretty sour mood in the Valparaiso locker room. Plenty not pleased with how final possession went in terms of Carter being fouled. At the same time, plenty said you can't put it on one play. Drew said in presser that plan was to get ball to Peters. Maryland defended very well. Many of you remarked that Skara was wideopen in the corner. I'll take your word for it. 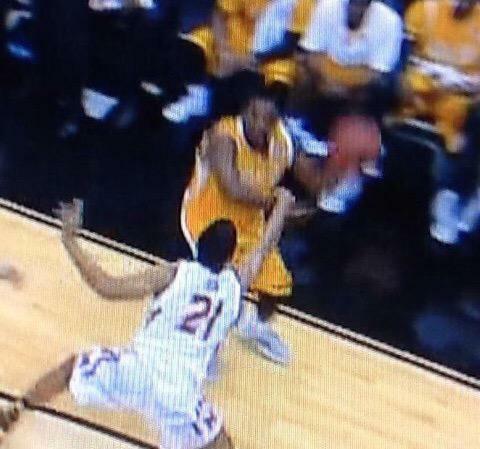 Still haven't seen replay.